I'm always finding fun articles from around the web that I want to share with you, our readers. Every Saturday I link up my favorite articles from the week that I think you'll enjoy as well. Emily from is this REALLY my life? and Stephanie from The Daily Blarg came down for a visit last week, and you can read what Emily thought on her blog. The title of the post made us laugh...MGS by Design--the best place to get stone(d). Photo: is this REALLY my life? I keep seeing little notes on Facebook from blogs that I like trying to get me to do something so that their pages will keep coming up on my feed. I thought it was all a bunch of malarkey until I read the article Grrr, Facebook on the blog two twenty one. I keep up with most of the blogs I read through Facebook, so I was annoyed to read that Facebook isn't showing all of their posts anymore if the administrator doesn't pay. Anyway, read the article and then if you too like to keep up on your favorite blogs via Facebook take the time to make an "Interest List". (The article gives you step-by-step directions on how to do so). It took me maybe 10 minutes to add all of my favorite blogs to my Interest List but now I feel like my Facebook is all organized and I'm not missing out anymore! I could write a novel about how much it annoys me that because of diy tv shows a lot of people now expect something totally different from Interior Designers than what their actual job description is. But I won't go on and on about it. You can just read this great article on Apartment Therapy... 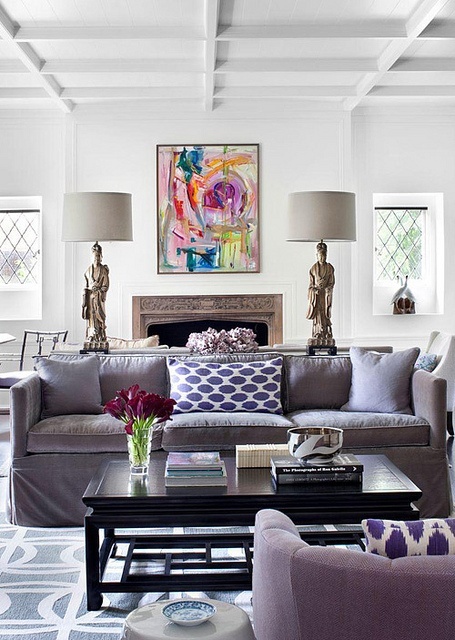 Interior Designers: Reality Shows vs. Reality. 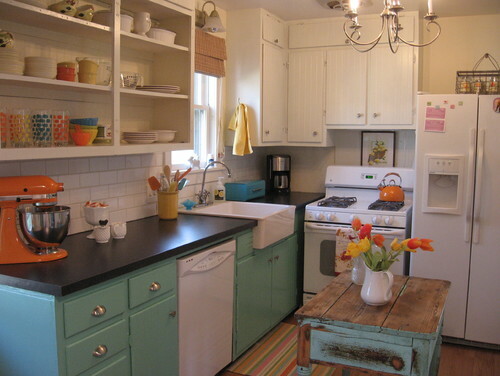 If your style is vintage you'll love this article on Houzz... 12 Inspring Real-Life Vintage Kitchens.